Dubious and weak opening play can get punished. 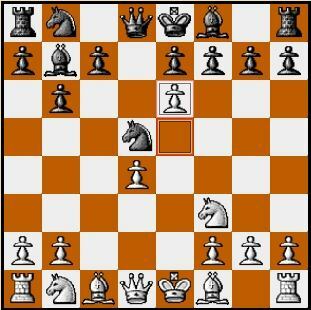 The following free chess lessons show how you can punish a dubious chess setup. If your opponent has chosen a dubious setup right from the start, like Black has done here, you can sometimes sacrifice a pawn to create a position, where his pieces have lots of problems to coordinate and will need more time to get into the game. You can use this time to build a strong position and to find and attack weak spots in the opponents pawn structure. In the next game Black should have developed the kingside and prepare castling as usual, but he develops his queenside instead. He is violating chess principles and this gets punished. This procedure is sometimes used in the beginning phase of the game to stop the opponent from placing his pieces to proper and effective squares. They are in each others way and his position is just a big mess. You have gained time to build up a strong position yourself in the meantime and might get dangerous attacking chances like in the following game.